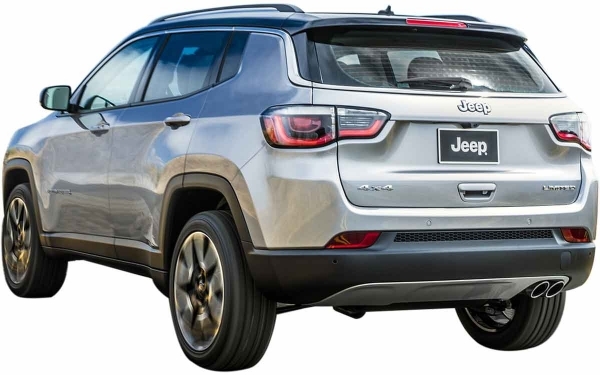 Jeep has introduced Compass in India in four variants; Sport, Longitude and Limited Plus. All are available in both petrol and diesel engine options; the petrol variants come in automatic option except the Sport; while the diesel variants get only manual transmission. 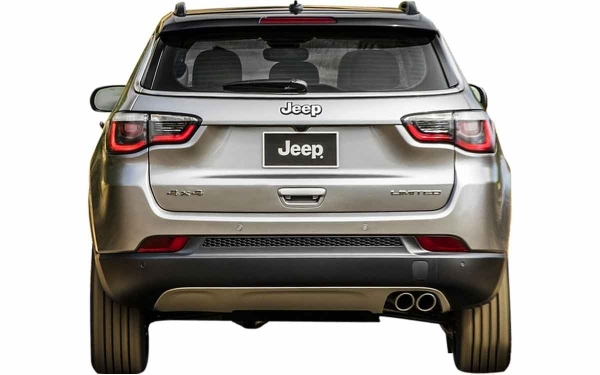 Jeep offers a four wheel drive with the diesel engine but it is limited to the Limited and Limited Plus variants. 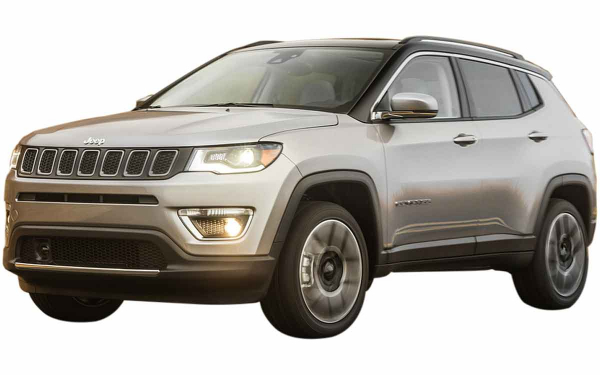 Wide range of exterior, interior, comfort as well as safety features make it a favourite SUV. The 12.7cm touchscreen display, quad halogen headlamps, hill start assist, electronic stability control and its premium exterior and interior design give it a luxury feel. 1.4 litre turbo petrol engine and 2 litre diesel engine are capable of delivering sufficient power and torque along with providing good driving experience. 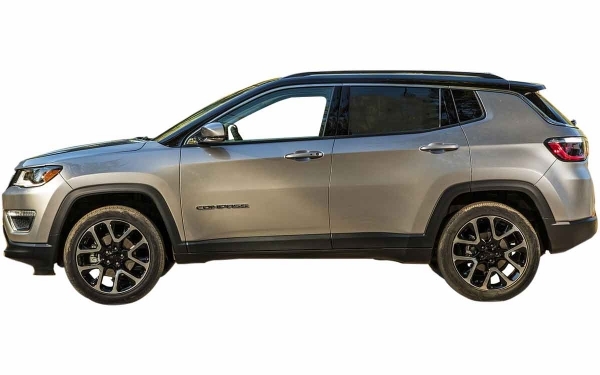 Sleek and sharp look with athletic styling leaves a trail of amazement wherever you go with your Compass. The slopping roof line, powerful wings and sculpted design make it sporty. The signature seven slot grille, body colored exterior mirrors with chrome elements and integrated side indicators enhance its design. 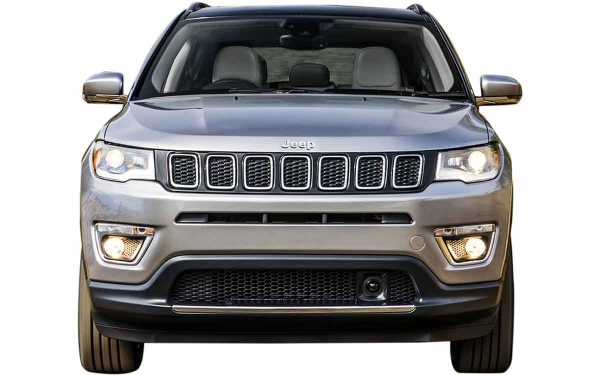 Dazzling headlamps with LED daytime running lights, fog lamps and LED rear lights give it a stylish appearance. 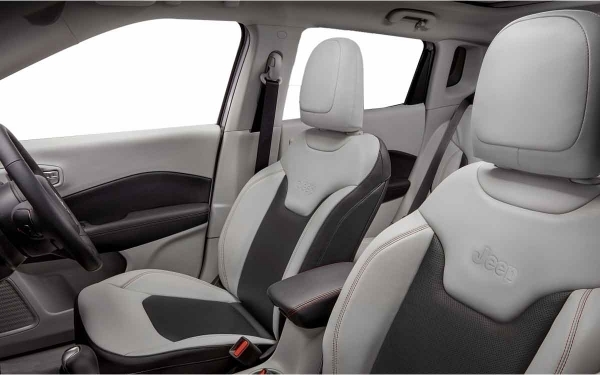 Jeep has sculpted every inch of the cabin of Compass to create a perfect environment for an enjoyable ride. The interior is available in ski grey color and you get Uconnect for entertainment with Apple CarPlay. The leather seats with comfy design offer smooth ride even in the toughest terrains. Automatic rain sensing wipers, 8.4” Uconnect infotainment system with Apple CarPlay and Android Auto, dual pane panoramic sunroof and 8 way power adjustable driver’s seat with 4 way power lumbar support make it a premium cabin. Electrochromic auto dimming interior rear view mirror, leather wrapped steering wheel, customisable 8.89cm graphic information cluster and superior storage space make your ride comfortable and elegant. 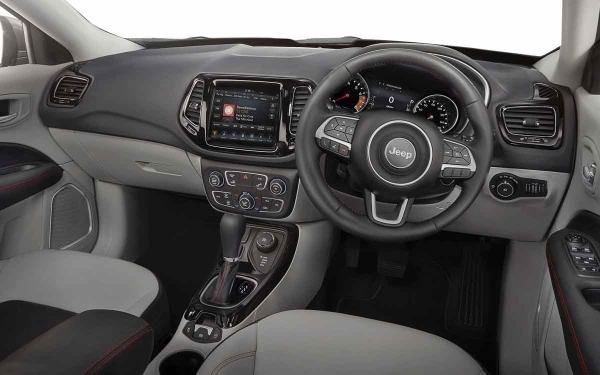 The Uconnect infotainment system offers a range of entertainment features on the 8.4” touchscreen. It lets you connect Apple CarPlay and Android Auto via your smartphone. 2 zone automatic climate control, front and rear cup holders, foldable 60:40 rear seat, keyless entry with start/stop button and USB charger are included for additional convenience. Premium safety features are combined with the latest technology and contemporary engineering to help you protect from any danger. Strong body structure, advanced chassis controls including four channel ABS, full function traction control, electronic stability control, panic brake assist, hydraulic boost failure compensation and electronic roll mitigation are included for a safe driving experience. 6 airbags, cornering fog lamps, electronic parking brake, reverse parking camera etc also are given for an added safety. The 1.4 litre turbo petrol engine produces maximum power of 163PS and250Nm of maximum torque. The 2 litre diesel engine produces maximum power of 173PS and350Nmof maximum torque. Both engines are mated to 6 speed manual transmission while the petrol engine is available in 7 speed dual clutch transmission. Length: 4395mm, Width: 1818mm, Height: 1640mm, Wheelbase: 2636mm, Ground Clearance: 178mm and it has 1641kg of Kerb weight.